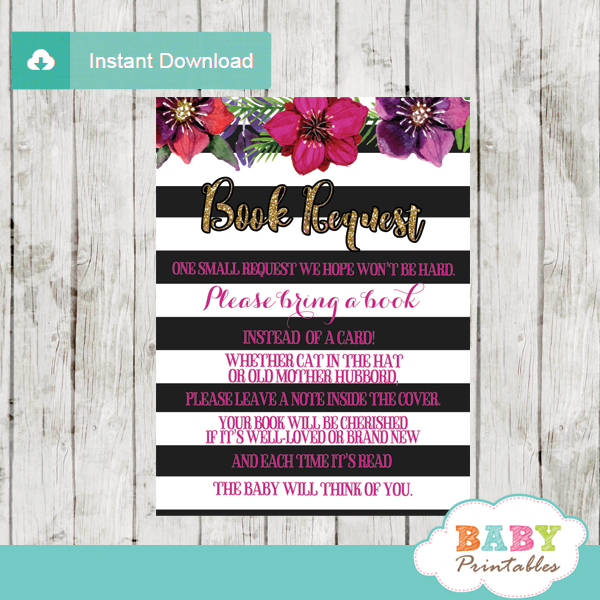 Encourage guests to build your little girl’s library with these floral pink flamingo book request cards by inserting one with your matching baby shower invitations. 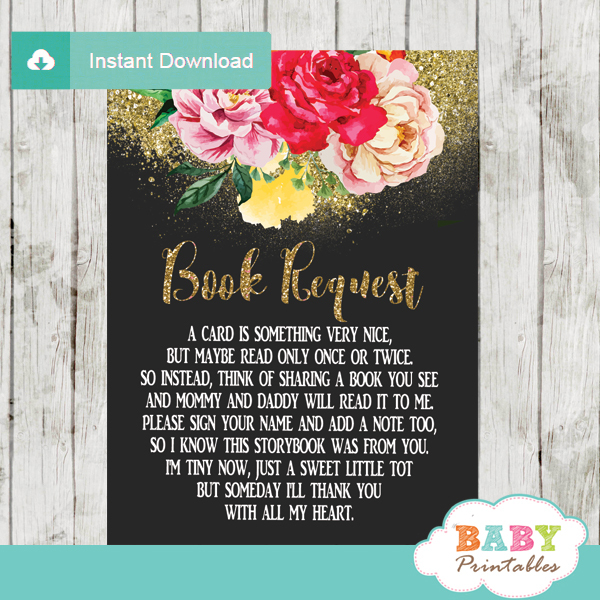 The flamingo book request cards feature beautiful geometric frames in gold decorated with tropical floral arrangements in shades of pink against a white background. 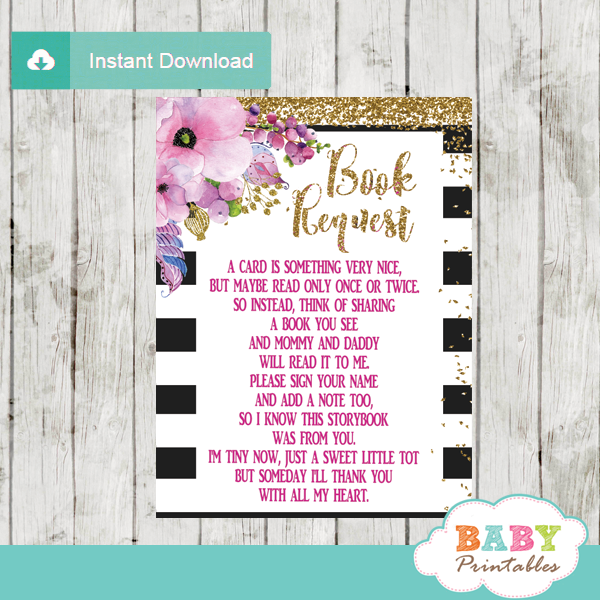 Perfect invitation inserts for a flamingo themed baby shower flamingle this summer to celebrate the upcoming new girl. 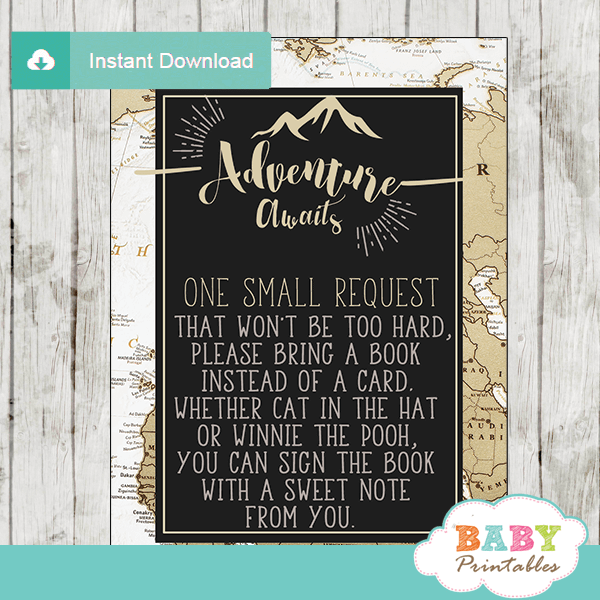 ★ Click to view the full collection of flamingo themed baby shower.